Membership at Chelsea Yacht Club is open to anyone aged 21 and older. You may join the Club as a Regular or Affiliate member. Regular members are shareholders and participate in its management. The years spent as a Regular member also accrue toward Life membership. Regular members can have a mooring or an on-land storage space for their boat. Affiliate membership is a lower-cost alternative to Regular membership for those who want to participate in the Club in a more limited way. Although they have the same access to the Club as Regular members, Affiliate members are not shareholders and do not participate in the management of the Club. Years spent as an Affiliate member do not accrue toward Life membership. Affiliate members may store or launch at the Club dinghy-type sailboats of up to 15 feet LOA or human-powered boats of up to 18 feet LOA (e.g., kayaks, canoes). Owners of larger sailboats who maintain them elsewhere may be Affiliate members to participate in CYC’s very active racing program and come away from the season with a trophy. Others with no boat at all are also welcome to join CYC as Affiliate members for social purposes. More information about the fee structure can be found in our Applicant Information Brochure. To apply for membership, simply complete the Membership Application and return it to the address provided with your $10.00 non-refundable application fee, at any time during the year. Please note that you may apply even if you do not have a Club sponsor. In such cases, the Membership Committee will assist you. The Membership Committee will contact you to review your application. After the Committee completes its review, the Secretary will request that you submit your check for the applicable fees. Upon receipt of your check, and after notice of your application has been provided to the membership in the Club newsletter, the Secretary will read your application at the next regular Club meeting. The members present will vote on your application. If your application is accepted, the Treasurer will deposit your check, and the Commodore will send you a “Welcome Aboard” package. If your application is not accepted, the Secretary will return your check. 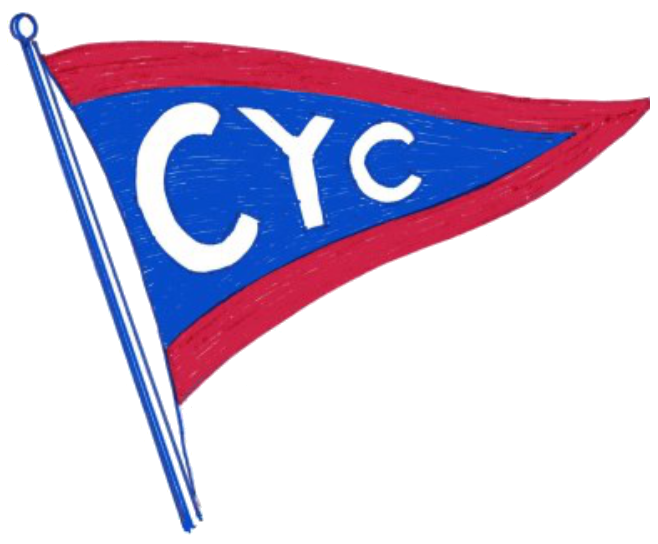 CYC was organized in 1881 as the Carthage Ice Yacht Club, changing its name to the Chelsea Yacht Club of Chelsea on the Hudson in 1910 to reflect a change in the name of the area in which it is located and the growth of its program to include summer sailing as well as winter boating. The Club is located on the east bank of the Hudson River, 2.2 nautical miles north of the Newburgh-Beacon Bridge. We’re a member of the US Sailing Association, the Hudson River Yacht and Boat Club Association, and the Hudson River Yacht Racing Association. CYC’s annual calendar includes weekly sailboat races, social events, cruises, and a youth sailing program. Members also participate in numerous regional and national racing events. Although there are more sailboats than powerboats in the fleet today, powerboats once prevailed, and Chelsea remains open to power, sail and human-powered boats. Among the sailboats, there are three major fleets: racer/cruisers, trailerable daysailers, and dinghies. The largest group is the racer/cruiser fleet, which is moored in the river off the Club. The Club sets and pulls owner-supplied moorings and provides launch service on weekends, holidays, and many evenings. At other times, members may use Club launches or their own dinghies to get to and from their boats. Trailerable daysailers are accommodated in a large dry sail area that is equipped with tie downs, electric davit hoists, and a concrete launching ramp. The dinghy group is made up primarily of Sunfish, Lasers, and boats used in our Youth Sailing Program. These, along with human-powered boats, are stored on racks in the dry sail area with a floating ramp, dock, and beach for launching. A boat house for storing rigging and gear serves both the trailerable daysailer and the dinghy fleets. Additionally, there are separate storage sheds for outboard motors and inflatable dinghies. The Club operates its own slipway and 15-ton travel lift for hauling and storing boats on Club property. Each summer, the Club holds a youth sailing pro-gram for children of at least 8 years of age, using a fleet of Club 420s, Optimists, and O’pen BICs. Instructors are US Sailing Association certified and are often former graduates of the program. The program bolsters children’s water safety skills, basic to advanced boat handling and racing skills, and seamanship. The primary objectives are to enhance individual skills and knowledge of sailing and to foster a life-long learning experience that will continue to encourage growth in the sport of sailing, develop self-confidence, encourage teamwork, and promote sportsmanship. The Club also offers an adult sailing course, at no charge to new Regular members and their spouse or domestic partner during their first year of membership, and at a discount to new Affiliate members and their spouse or domestic partner. The course includes three days (21 hours) of on-the-water and classroom instruction provided by members who have successfully completed the US Sailing Association Basic Keelboat Instructor Certification Course. On-the-water instruction can be on the student’s boat or a CYC owned or leased boat.